The producers? dreams are on the verge of coming true, but Chase's marriage is strained and Keith's daughter?Andi Ellison?is making questionable choices in her quest for stardom. The producers are gaining respect and are on the verge of truly changing culture through the power of film?but is the change worth the cost? 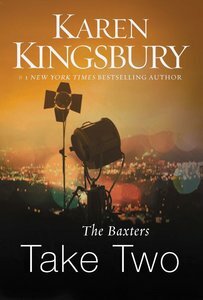 About "Baxters Take Two (#02 in Above The Line Series)"